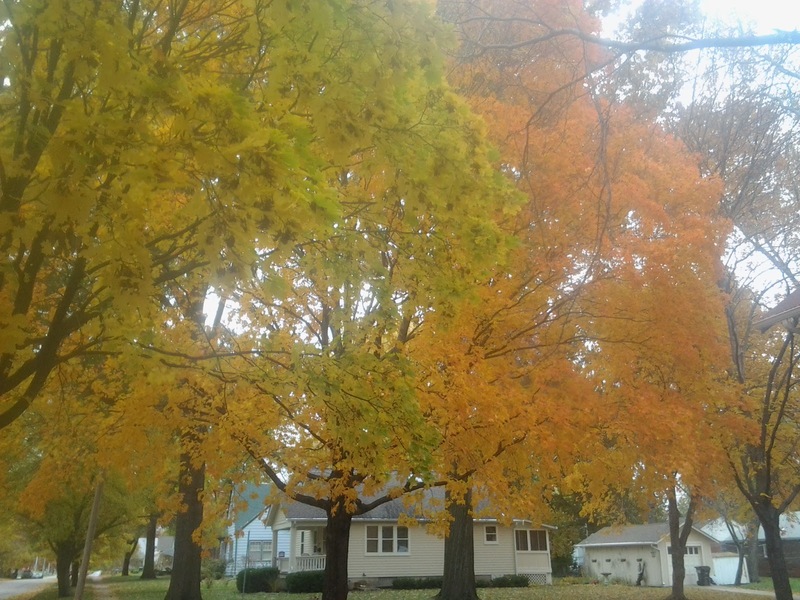 The fall colors in Lawrence have been truly spectacular this year. Someone said it's due to the wet weather we've had off and on all year long. 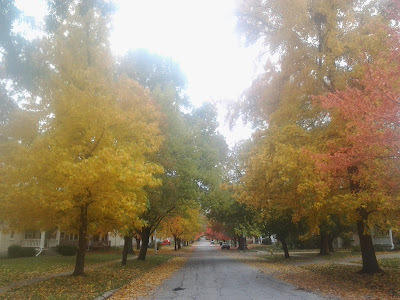 On long walks through my neighborhood, I've felt as if I were in a painting, or on a palette of colors, waiting to grace a blank canvas. Alas, my camera has gone full tilt and I've tried taking photos with my tablet and my son's camera, but none seem to capture the full splendor of the fall colors, sometimes ten different shades all in one tree. But here are a few attempts that I made. Be sure to click on the photos for a closer view! This Japanese maple is in my yard. 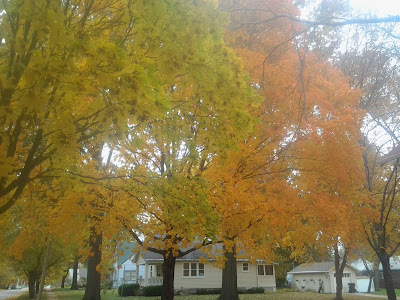 Oh, how I do miss the red and orange of sugar maples! 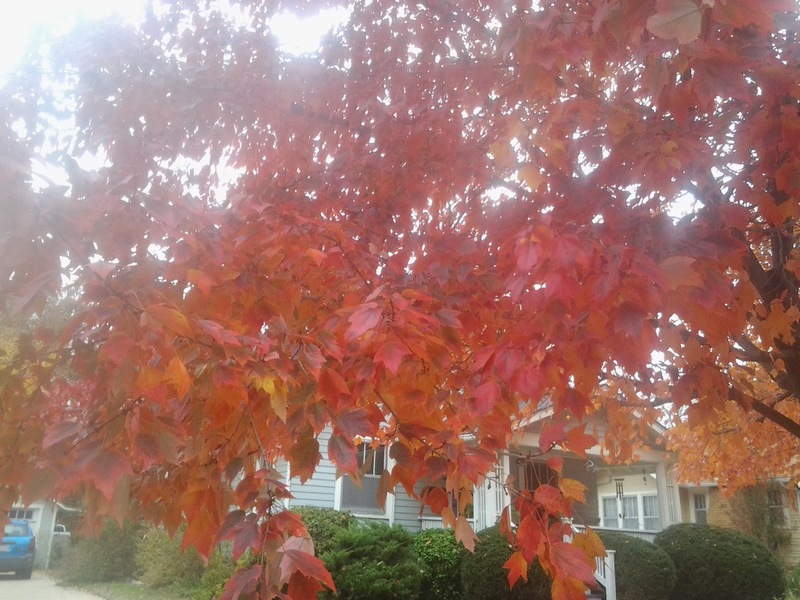 Those look like maybe red maples? Si, there are many maples near my house, and the sugar maples have the most vibrant colors. 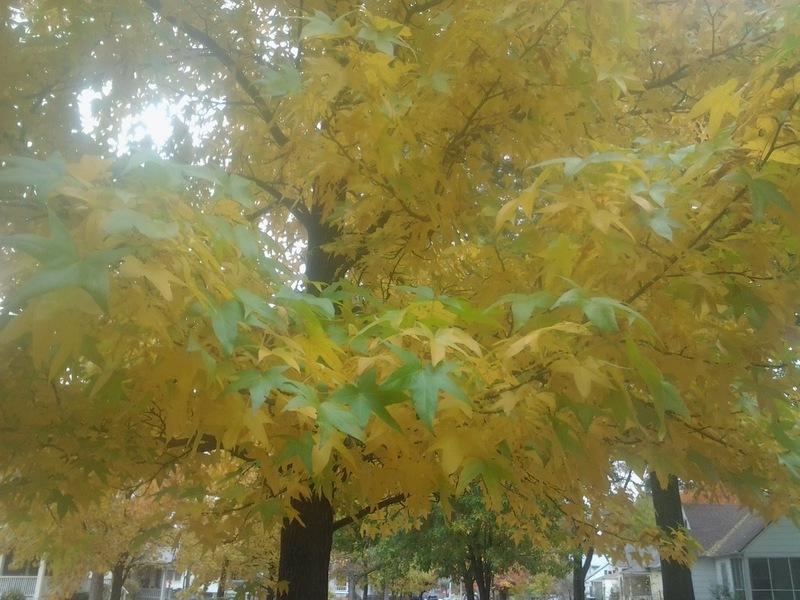 But this year was really spectacular, with so many colors on so many other trees. I'm so glad I was here to witness the beauty! I follow your blog, and enjoy reading about your life in Calabria. Maybe I'll make it down there one of these days. Enjoy your visit to the States!